Saplings Science at Home! April 2017 ELG: They make observations of animals and plants and explain why some things occur, and talk about changes. 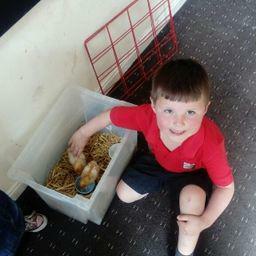 Context: The children enjoyed seeing 4 chicks hatch from an egg during class. 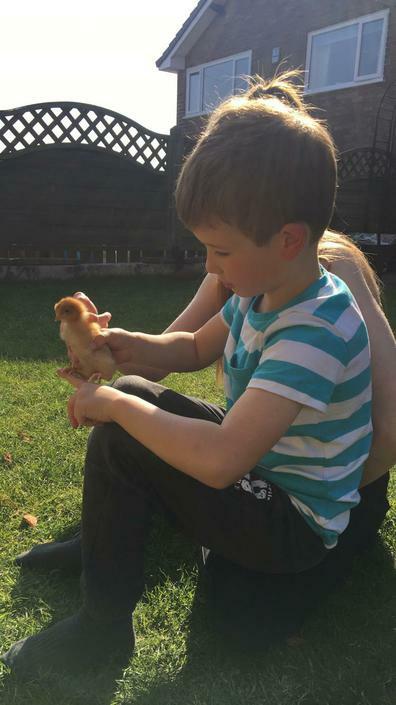 The children learned about the life cycle of a chick and this led to learning about more animals which hatched from an egg. 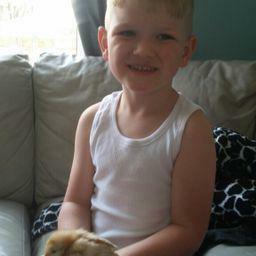 The children were eager to feed, water and care for the chicks. 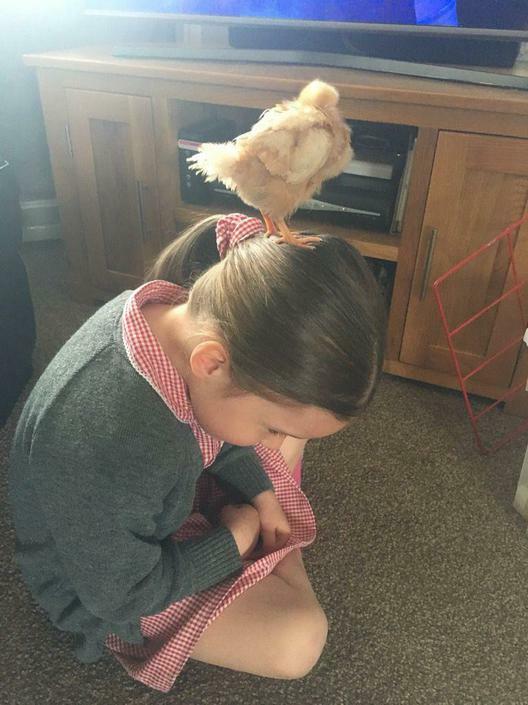 The children observed the chicks carefully and very quickly noticed when the chicks began to grow feathers. 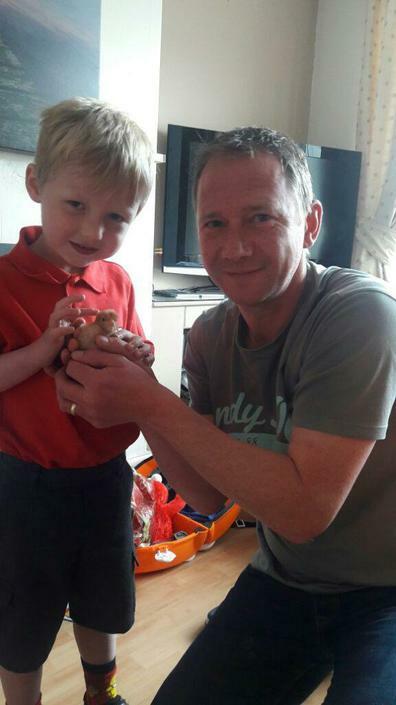 To extend the children’s learning the children were invited to take the chicks home. Thank you to Jack for sharing this photo showing his school science club volcano mid eruption-fun for all the family I am led to believe! 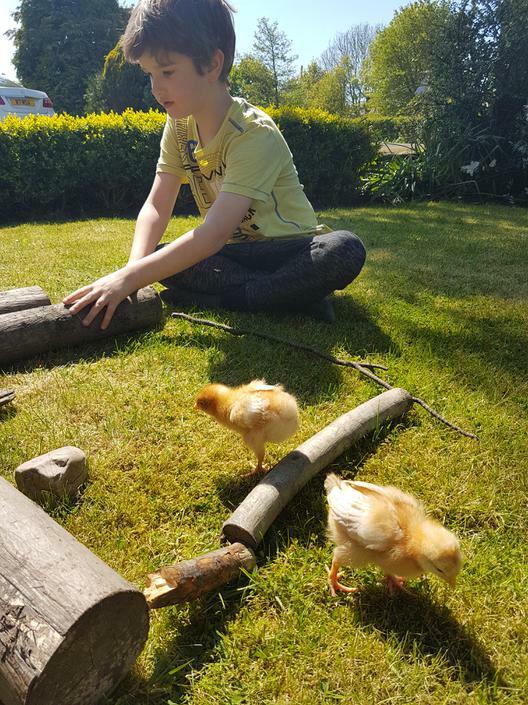 Thank you to Ellie for sharing her photos from Science Sunday in her household last weekend! What fun! 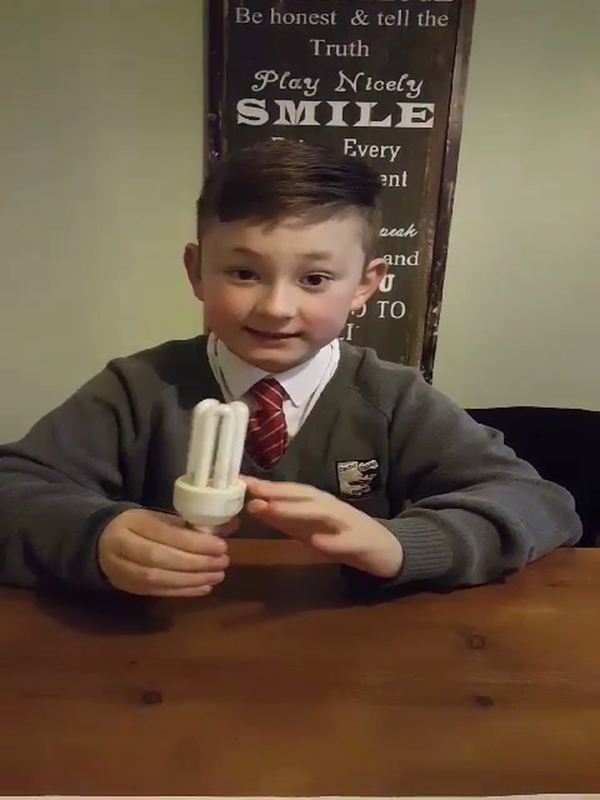 Thank you to Bobby (and his Dad) for these photos showing science in action. Bobby is about to 'drop' 120 feet on a water slide whilst Mr Cannings is braving a 300ft sky dive! Talk about extreme science! What science do you think can be discussed using these photos?